This is the second highest pollution level this year. The highest was recorded on November 8, a day after Diwali, when the AQI touched 571. New Delhi: Delhi recorded its second highest pollution level this year on Sunday. While the Central Pollution Control Board (CPCB) data showed the overall air quality index (AQI) at ‘severe’ level of 450, the Centre-run System of Air Quality and Weather Forecasting (SAFAR) showed a higher level at 471. In the wake of deteriorating air quality, authorities have advised people to minimise outdoor activities for the next couple of days. Unfavourable meteorological conditions are likely to keep the air quality in the severe category for the next couple of days, a report quoting Met officials said. Notably, prolonged exposure to PM2.5 pollutants can lead to diseases like cancer and increases chances of stroke. Thirty areas of the national capital recorded on Sunday ‘severe’ air quality while it was ‘very poor’ in six, the CPCB said. Several areas like Ashok Vihar, Anand Vihar and Wazirpur, among others, inched towards the ‘severe plus emergency’ category, the data showed. In NCR, Ghaziabad recorded the worst air quality with an AQI of 475. Faridabad and Noida also recorded ‘severe’ air quality, the CPCB said. 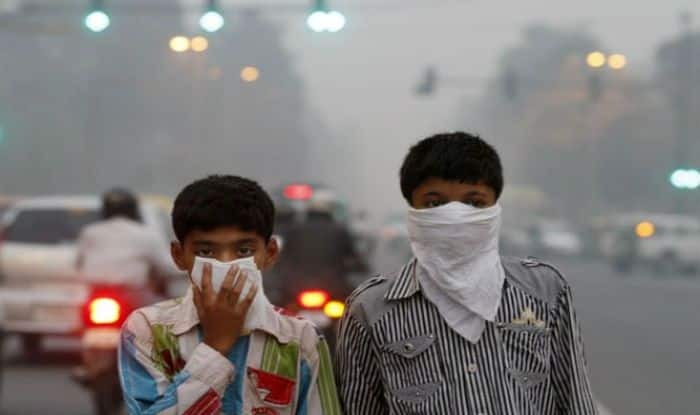 The IMD said prolonged period of light winds and low temperature are likely to continue for the next three to five days, resulting in poor dispersion of pollutants and the current severe air quality may continue for the next two to three days. According to the SAFAR, Delhi’s overall air quality is expected to remain in severe range until Monday morning and thereafter start to improve slowly and may touch very poor range. On Saturday, a CPCB-led task force held a meeting in response to the current high PM2.5 levels which climbed to severe plus emergency category. Following this, the task force advised people to minimise outdoor exposure for the next three to five days and avoid using private vehicles. At the meeting, a number of recommendations were made to the Supreme Court-appointed Environment Pollution Control Authority (EPCA), including agencies to intensify ground actions to enforce measures already in place, particularly to control emissions from vehicles and burning of biomass. The other recommendations made were: agencies concerned to increase surveillance to find industrial waste dumping or burning especially in hotspots that are vulnerable to high pollution level, water sprinkling and mechanized sweeping to be intensified and traffic police to ensure smooth flow of traffic, including during long holidays.